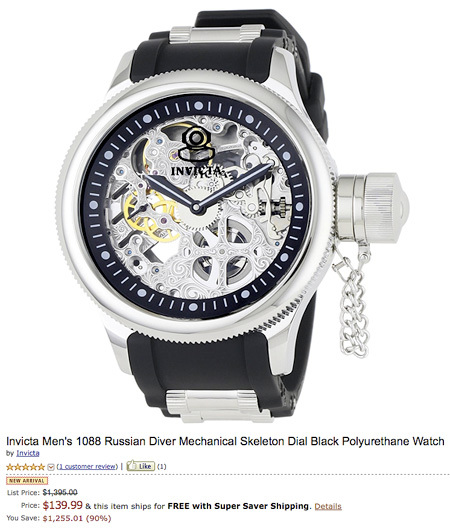 Amazon is selling the Invicta Men’s 1088 Russian Diver Mechanical Skeleton Watch for only $139.99 shipped, originally priced at $1395. This watch features a “silver skeleton dial with black border and black hands, a screw-down protective cap on crown, and an exhibition case back.” Product page. Video preview after the jump.